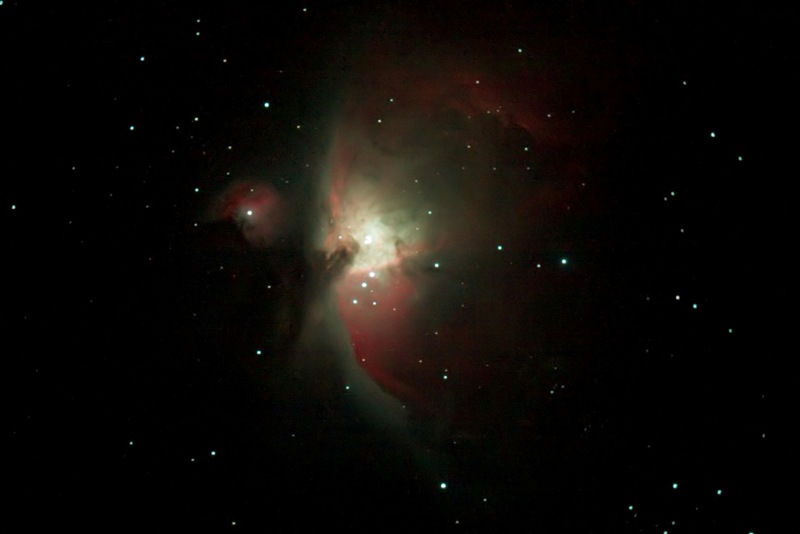 Orion Nebula - The Orion Nebula is a very bright nebula in the constellation Orion. It is a place of active star formation and could contain forming stars and solar systems like our own! The nebula, made up of gas, is illuminated by very hot stars, which cause the gas to both reflect and also emit light on their own. It is thus both an emission and a reflection nebula. The nebula is about 24 light years in width and 1,300 light years from Earth. This is actually a close distance on the cosmic scale, making the Orion Nebula one of the closest nebulae to Earth. This picture was obtained by me, and processed by my friend Riad Hamamieh.